Ready for our latest French macaroon? 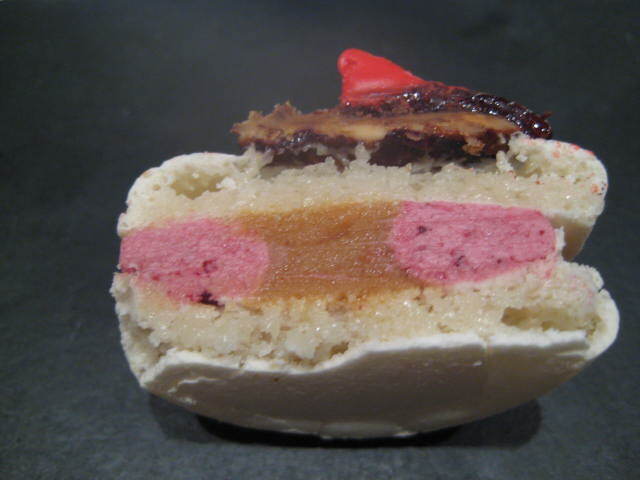 Here it is: our Maker’s Mark Macaroon! 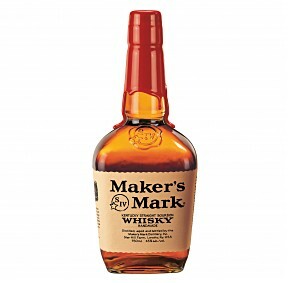 We were more than delighted when Maker’s Mark asked us to come up with a recipe. (It’s a staple bourbon for a lot of us here at DessertTruck). In conjuring up a recipe, we turned to traditional Kentucky dessert ingredients for our inspiration. The result? 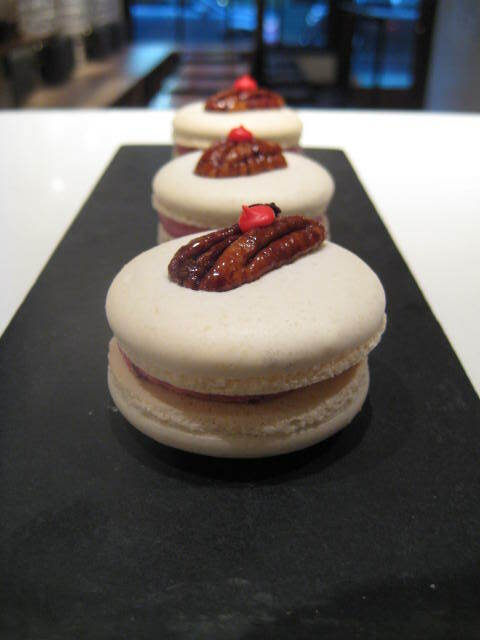 A macaroon with blackberry buttercream, candied pecans and of course, a salted butter Maker”s Mark caramel in its yummy center! So grab your Derby hat and head on down to Clinton Street for this store exclusive! ← Ellen’s excELLEnt Foursquare Badge!